i Click 'view all' to instantly compare this good deal with offers on other top ps4 games. 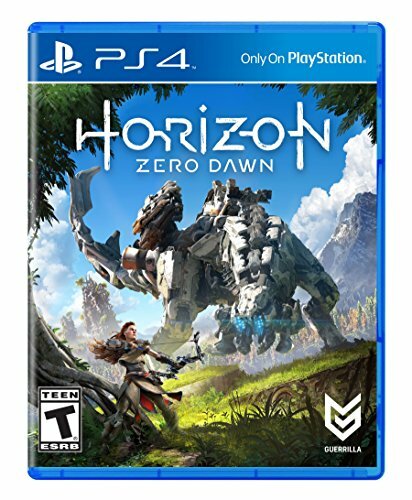 Horizon Zero Dawn is currently selling at $14.99, approximately $0.18 lower than average, giving a potential saving of $0.60 right now. With a lowest price of $14.99 and an average of $15.17 it is selling on the low end of its usual range. Price volatility is 0.74% (meaning it does not change often), so the price should stay low for a while. Right now this product is a recommended 'good deal'. The current deal is also the best price on this item over the last month. 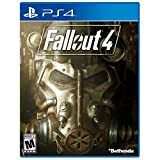 Compare the current price, savings (in dollars & percent) and Buy Ratings for the top PS4 Games that are closely related to Horizon Zero Dawn. Here is how Horizon Zero Dawn compares with other leading PS4 Games. Take on the role of skilled hunter Aloy as you explore a lush world inhabited by mysterious mechanized creatures in an exhilarating new Action/RPG exclusively for the PlayStation4 System. FeaturesA Lush Post-Apocalyptic World - How have machines dominated this world, and what is their purpose? What happened to the civilization here before? Scour every corner of a realm filled with ancient relics and mysterious buildings in order to uncover your past and unearth the many secrets of a forgotten land.Nature and Machines Collide - Horizon Zero Dawn juxtaposes two contrasting elements, taking a vibrant world rich with beautiful nature and filling it with awe-inspiring highly advanced technology. This marriage creates a dynamic combination for both exploration and gameplay.Defy Overwhelming Odds - The foundation of combat in Horizon Zero Dawn is built upon the speed and cunning of Aloy versus the raw strength and size of the machines. In order to overcome a much larger and technologically superior enemy, Aloy must use every ounce of her knowledge, intelligence, and agility to survive each encounter.Cutting Edge Open World Tech - Stunningly detailed forests, imposing mountains, and atmospheric ruins of a bygone civilization meld together in a landscape that is alive with changing weather systems and a full day/night cycle.